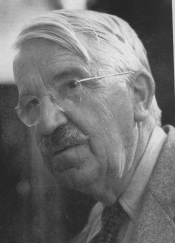 This page is dedicated to providing scholars with information on upcoming events associated with the life and work of John Dewey. Check back with us for a listing of conferences and lectures that you may be interested in. "Acquisition of skill, possession of knowledge, attainment of culture are not ends: they are marks of growth and means to its continuing." The Collected Works of John Dewey, 1882-1953, edited by Jo Ann Boydston (Carbondale and Edwardsville: Southern Illinois University Press, 1967-1991), MW 12:186.